Gemma Blackshaw, Professor of Art History, will be talking about her research in the BBC Studios Production film Egon Schiele: Dangerous Desires, which broadcasts on 10th November, 9pm, on BBC Two. To mark the anniversary of his death a century ago, and the occasion of the exhibition Klimt / Schiele at the Royal Academy, London (4th November – 3rd February 2019), this film tells Schiele’s dramatic story in his own words, using original letters and writings, many of them translated for the first time. 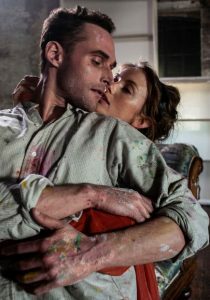 With contributions from scholars, collectors, artists and performers, including dramatic reconstructions choreographed by acclaimed physical theatre company Gecko, the film conjures up the passionate, provocative world of Egon Schiele.